State University Press of New York (Suny), 9781438454382, 336pp. 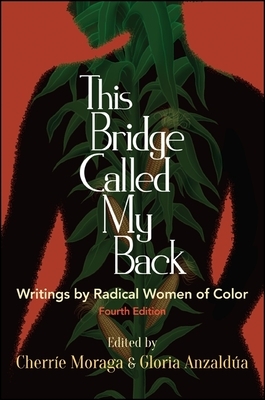 Originally released in 1981, This Bridge Called My Back is a testimony to women of color feminism as it emerged in the last quarter of the twentieth century. Through personal essays, criticism, interviews, testimonials, poetry, and visual art, the collection explores, as coeditor Cherr e Moraga writes, "the complex confluence of identities--race, class, gender, and sexuality--systemic to women of color oppression and liberation." Reissued here, nearly thirty-five years after its inception, the fourth edition contains an extensive new introduction by Moraga, along with a previously unpublished statement by Gloria Anzald a. The new edition also includes visual artists whose work was produced during the same period as Bridge, including Betye Saar, Ana Mendieta, and Yolanda L pez, as well as current contributor biographies. Bridge continues to reflect an evolving definition of feminism, one that can effectively adapt to, and help inform an understanding of the changing economic and social conditions of women of color in the United States and throughout the world.